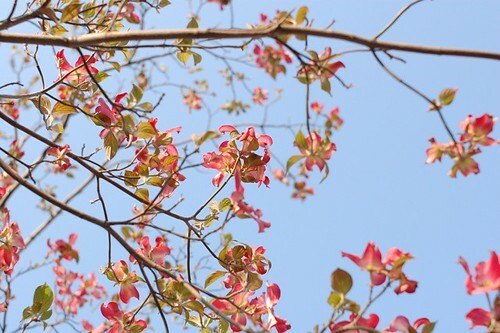 The second picture of a tree is one of my very favorites -- pink dogwood. 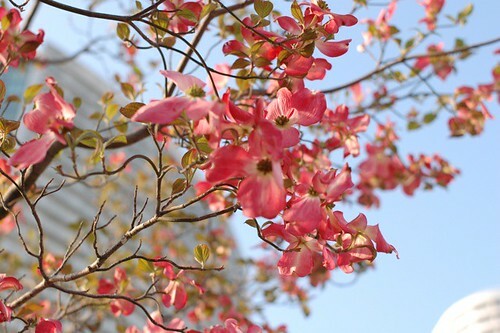 Dogwood trees are very popular in the South of the U.S.
Oh Mai! Thanks for capturing these beautiful pictures and taking us for a walk with you! 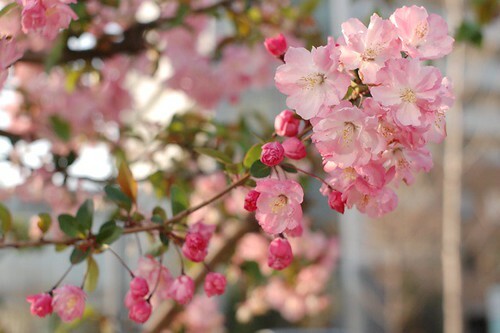 I love those Sakura blossoms i guesss that might be the last few pictures of them. The park by the sea looks beautiful, fun and a relaxing place to be at! 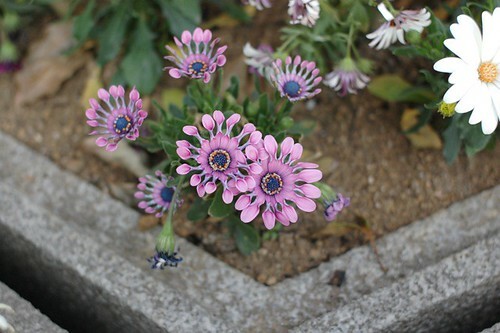 Im really loving your favorite flower...whatz the name for it? They look really sweet! 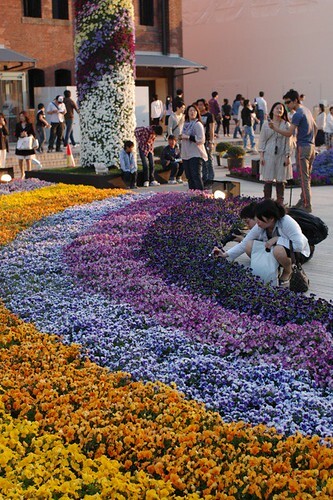 Yokohama is such a beautiful place..i'll be sure to let you know if i plan a vacation there! Have a lovely merry happy monday and love to you!! Great pictures! 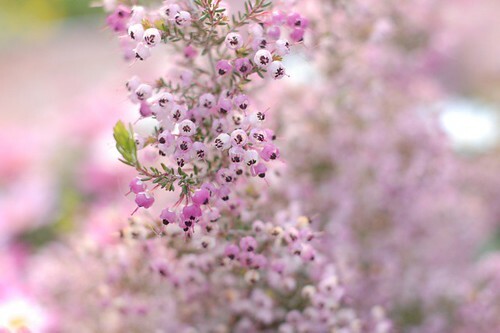 Your favorite flower is simply exquisite, and I don't remember seing this before. For sure, we do not have that flower here in Quebec! Actually, my boyfriend took these pictures.. he he. Oh, pink dogwood! Maybe it's that! Thank you! 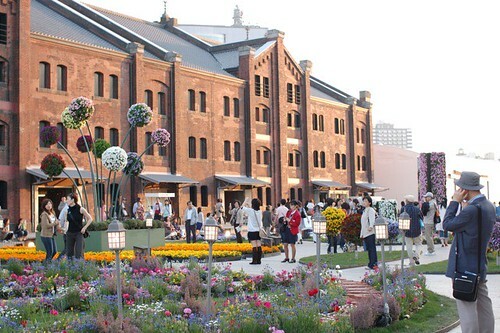 I'm happy that I could show you a piece of Yokohama! Your pictures are wonderful. What LOVELY flowers! 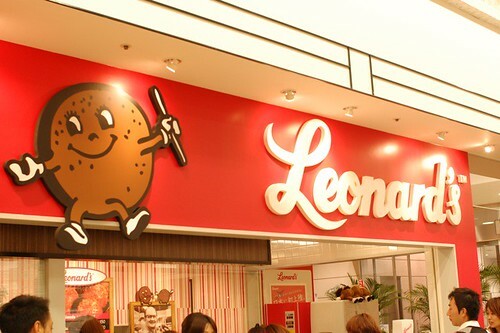 Makes me want to go to Yokohama. Thank you for your lovely blog and lovely sewing creativity!!! Quite worthwhile piece of writing, thanks for the article. Here, I do not actually imagine it will have effect.